Get the Funk Out! : Kara L. Duckworth, CFP® Chief Compliance Officer/Principal Duckworth Wealth Advisors joined me today at 9:45am pst. We will be talking about two specialized summer finance programs taking place for high school students. The programs are being offered by Center for Investment and Wealth Management (CIWM) at The Paul Merage School of Business. Kara L. Duckworth, CFP® Chief Compliance Officer/Principal Duckworth Wealth Advisors joined me today at 9:45am pst. We will be talking about two specialized summer finance programs taking place for high school students. The programs are being offered by Center for Investment and Wealth Management (CIWM) at The Paul Merage School of Business. Kara is a wealth manager and the firm’s Chief Compliance Officer. She manages client relationships, provides financial planning services and serves on the firm’s investment committee. Think of her as a friend who will tell you the truth. Kara also manages the firm’s personal office services. To Kara, seeing a client achieve a dream is the most rewarding part of her job. 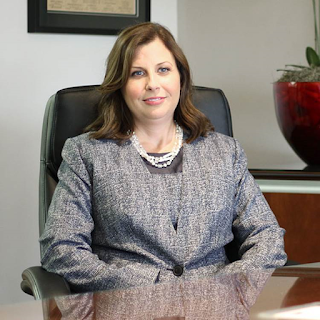 Named a “5-Star Wealth Manager” by Orange Coast magazine, Kara attended UC Riverside and holds a Bachelor of Science degree in Business Administration from the University of Phoenix. She is a Certified Financial Planner® and a member of the Financial Planning Association. Kara sits on the board of the Center for Investment and Wealth Management for the Paul Merage School of Business at the University of California, Irvine. As if that doesn’t keep her busy enough, she also chairs the steering committee for the school’s Financial Literacy Summer Residential Program. UC Irvine embarks on personal finance summer programs for high schoolers. What: Two specialized summer finance programs are taking place for high school students. The programs are being offered by Center for Investment and Wealth Management (CIWM) at The Paul Merage School of Business. With generous support from Pacific Alternative Asset Management Company® (PAAMCO), two sessions will be taking place for a one-week, on-campus program dedicated to helping underserved 8th and 9th grade students by teaching life skills in money and investment management in a highly supportive environment. The program’s mission is to instill a continued desire to strengthen understanding of financial matters, encourage admission into a four-year college or university, and to inspire confidence and success in all areas of life. It costs $2,100 to send a student to the LIFEvest Financial Literacy Program; however, the program tuition comes at no cost to the student and is completely funded by CIWM and its sponsors. A program for young men entering the 9th and 10th grade is being held from Saturday, July 17 to Sunday, July 23. There are currently 30 young men enrolled in the program. A program for young ladies entering the 9th and 10th grade is being held from Saturday, July 31 to Sunday, August 6. There are currently 30 young ladies enrolled in the program. Twenty-five academically motivated high school students are enrolled in UC Irvine’s inaugural summer excellence program. This new, week-long personal wealth management, investing and financial planning program will help students gain a deeper understanding of macroeconomics and global financial markets. Andrew J. Policano, PhD, faculty director for the CIWM and renowned economist; Chris Schwartz, PhD, associate professor of finance at the Merage School; and, Feroz Ansari, MBA, MIM, CFP®, senior principal and portfolio manager for Compak Asset Management, will lead the program. Students will experience a unique learning environment filled with inspiring presentations, case studies and group projects. They will learn to analyze and evaluate stocks, bonds, mutual funds and ETFs, develop and back test optimal investment portfolios, and familiarize themselves with personal wealth creation and retention. At the close of the program, each student will have created a personal wealth management plan, paving the way for lifelong preparation towards building financial success. The CIWM is one of seven Centers of Excellence at the UC Irvine Paul Merage School of Business. Its mission is to create and disseminate vital, applicable research and knowledge concerning the creation, management and inter-generational transfer of wealth. The Center is gaining national recognition as a source of cutting-edge research and innovative programs that advance our understanding of and successful practice in the field of wealth management, including all of its relevant disciplines and audiences. CIWM is dedicated to the study of global financial markets to gain a better understanding of effective investment management techniques, the overall global financial system and the role and effectiveness of financial markets in fostering socially responsible, sustainable economic growth, the study of wealth management techniques to discover the most effective methods for creating, preserving and growing wealth, assessing philanthropic opportunities, implementing a tax efficient transfer of wealth and building and preserving family legacy and harmony, and the development and delivery of programs and informational reports based on the above research and other information. For more information, visit: merage.uci.edu/ResearchAndCenters/ciwm/, or follow us on Twitter @CIWMFinLit. The Paul Merage School of Business at UC Irvine offers four dynamic MBA programs – plus PhD, specialty masters and undergraduate business degrees – that graduate world-ready business leaders with the exceptional ability to help grow their organizations through strategic innovation, analytical decision-making, information technology and collaborative execution. While the Merage School is relatively young, it has quickly grown to consistently rank among the top 5 percent of all business programs worldwide through exceptional student recruitment, world-class faculty, a strong alumni network and close relationships with both individual business executives and global corporations. Additional information is available at merage.uci.edu.